B&M Lifestyle | Quick Gardening Tricks for People With No Time! Your garden should be a beautiful haven of peace – a sanctuary from the “real world”. Whether your dream is to achieve a space where your kids can play happily and safely, a place to lie on the grass and read a book, or the perfect private spot to share a quiet drink with a loved one, we all have aspirations for our outside areas that many of us haven’t quite achieved yet. In fact, the majority of us feel as though we’re fighting a losing battle, as borders overgrow, lawns sprout endless weeds and pruning keeps getting pushed further and further down our to-do list. The sad reality is that mundane “real life” ends up taking over, and we just don’t have enough time to tend to our beloved gardens. However, B&M can offer you a few easy gardening tricks to keep up your sleeve for when you’re too occupied with emails and tax returns to spend an hour or so each day outside. Read on to find out how to keep your garden beautiful without stretching yourself too thin. The thought of spreading grass seed and lovingly watching your new lawn sprout into a thick emerald green carpet is a heartwarming one, but often sadly impractical – not just because of the dangers of birds pecking up everything you’ve laid down, or the risks inherent in the weather (too much sun and the seeds dry out and die, too much rain and they drown and wash away) – but also because it’s rare that we can find enough time to get it done. 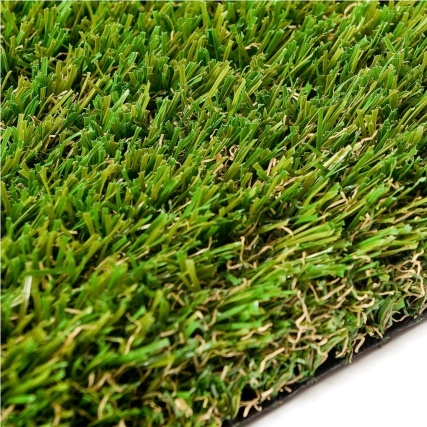 Luckily, you can discover realistic artificial turf at B&M. It can be applied instantly with no waiting time, looks fantastic and hugely reduces the amount of mud you and your family will be trapising into the house after spending time outdoors! If you’re already the proud owner of a beautiful natural lawn, however, you’re likely to have problems of a different kind. It’s so difficult to keep your edging perfect and maintain a smart, clear line between grass and border, and crawling around with edging knives and shears can prove very time consuming and feels particularly pointless when pets or little ones walk soil out of the flowerbeds and onto the grass. 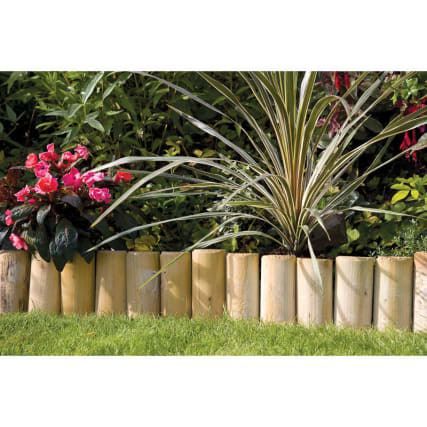 An attractive alternative is to get yourself a timber border roll. Strips of small connected logs can be knocked into place right along the edge of the lawn, attractively separating it from the border and keeping both looking neat. If you’re always fighting with weeds or struggling to keep plants and flowers alive, it can get quite upsetting and frustrating, and it’s easy to feel as though there isn’t enough time in the day. There’s a lot you can do to lay the foundations for an effortlessly healthy flower bed, however! 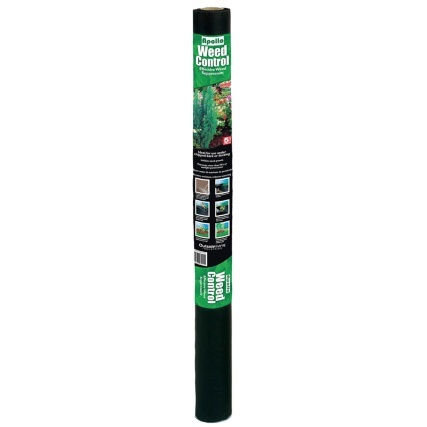 First, get hold of some brilliant Weed Control Fabric from B&M. Don’t worry, this tough material won’t stifle the plants you wish to keep – after all, it allows nutrients, water and light to penetrate through it and reach the soil and roots below. It only prevents weeds from growing, and can be used beneath chipped bark, flower beds and borders. The next step is to choose the correct compost. Jack’s Traditional Blend All-Purpose Compost is perfect for providing the nutrients required for any type of garden, as it contains rich peat that all plants love. Use it for seed sowing, potting, flower beds, containers, planters and baskets as well as fruit bushes and vegetable patches for incredible, healthy results. Choosing the right garden furniture can save you space as well as time. 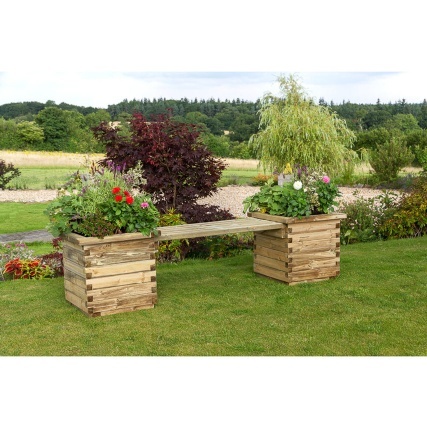 Don’t waste valuable hours trawling around garden centres and arranging the delivery of seats and planters when you can combine the two with the gorgeous Isabel Planter Bench, for example. Its beautiful rustic finish gives it an expertly homemade look, without the need for you to build it from scratch. It also serves to keep your garden looking neat and adds a gorgeous focal point without the struggles that usually come hand in hand with garden décor. There are a great many more options available at your nearest B&M Home Store with Garden Centre, so search for yours here today. B&M Top Tip: gardening in the cold is often unpleasant, but it’s really sad to watch your garden wilt during winter. Take a look at B&M’s range of HeatSaver thermal products to keep you warm as you work. Share pictures of your garden makeover with the B&M Community via Twitter, Facebook or Instagram.